As the Boston Marathon takes over the city for its 120th edition this Monday 18th April 2016, more than 30,000 participants will be hitting the streets, with another half a million spectators expected to come out a cheer on the runners, effectively bringing the city to a halt. However, the economic impact of the anticipated sports event continues to put the marathon at the top of the list of Boston’s most important dates: in 2015, the Boston Marathon and surrounding events were estimated to bring in $181.9 million, making the city the biggest winner in the annual event. This year, the city estimates a total of $189 million will be generated. Meanwhile, across the pond in the UK, preparations for the London Marathon, scheduled for Sunday 24th April, are under way. A much younger event, only in its 35th year, the race nonetheless generates a similar amount for the city – some £110 million ($156) in economic impact is expected this year. With that in mind, it’s no surprise that marathons, with all their logistics, expenditures and traffic, mean big business for cities that host them, putting them on the map for spectators and sponsors alike. Even new marathons, like Dubai’s 17-year old event, made an estimated $100 million for the emirate’s economy last year, prompting megacities sans marathons to introduce their own: the Lagos City Marathon was inaugurated in February 2016 with an explicit aim to stimulate the economy. Meanwhile, Cairo’s half-marathon just saw its fourth edition make headlines, with this year’s sponsors including multinational giants like Reebok, Danone and Pepsi. The first ever Lagos City Marathon attracted over 10,000 runners in February, 2016. While the economic impacts of large scale sports events like the World Cup or the Olympics far exceed those of marathons, due to their longer period, wider spectator appeal and international nature – the past four World Cups generated $9 billion (Japan and South Korea in 2002); $12 billion (Germany in 2006), $5 billion (South Africa in 2010) and $15 billion (Brazil in 2014) – the costs of preparations are high. In fact, Brazil was said to have spent $13 billion on infrastructure and security ahead of their hosting the soccer tournament, making their net profit marginal when regarded in context. Meanwhile, marathons and runners tend to mean minimal costs and big returns as the infrastructure needed to host a race already exists and expenditure on preparation is largely dedicated to minor street repairs, security and related equipment. On the other hand, money is pumped into the host city via food and beverage sales to spectators from local businesses, while a US-based study has shown that not only do runners tend to come from affluent backgrounds (the National Runner Survey reports that 76% of marathon runners have a college degree and 73% have an annual household income of at least $75,000), but that 60% come from out of town, turning a race into a destination and thus boosting profits for local hospitality industries. It’s no surprise then, that marathons are heavily branded and marketed in the same way, say, a music festival is, nor that organizers have historically designed courses to highlight local scenery and touristic sites. The London Marathon course is set against the famous Thames River and passes by sights including London Bridge, Big Ben and Buckingham Palace. What makes marathons specifically stand apart from other sports events, however, is that the focus of urban races are evenly split between sports and social impact, as marathons have charitable donations at their core. Fundraising through the London Marathon has broken its own record year-on-year reaching over £50 million ($71 million), out-donating even the biggest marathon in the world – the New York City Marathon generated $33.9 million in 2015 – making the UK race officially the single largest one-day generator of charitable donations in the world. Meanwhile, the 2016 Boston Marathon expects to generate $16 million for various charities this year and that’s not to mention the unquantifiable aspects of social impact that come from runner satisfaction, citizen pride in the city, skills acquired by volunteers and the inspiration provided by the athletes. Given this unique social dimension, the prosperous profile of the average marathon runner and the historical reliance of professional, semi-professional and new athletes on corporate sponsors, thus creating strong brand-loyalty, big businesses are more and more seeing marathons as a fertile ground for growing profits. “Even Richard Branson is on it,” reads one analysis on the matter, referring to the establishment of Virgin Sports in a move that saw the outspoken billionaire poach New York Road Runners’ CEO Mary Wittenberg after she spent 10 years at the helm of the New York City Marathon. Up to 12,000 volunteers annually help the New York City Marathon run smoothly. With marathons providing athletes with more than just an extreme workout – combining the perks of travelling, sightseeing, goodwill and marking an item off a bucket-list – the popularity of marathons is growing on most continents (representing a 13.25% global growth between 2009 – 2014) and the prominence of urban running (including fun runs, community-organized neighborhood runs and small-scale competitions) has contributed to running becoming the fastest growing physical activity trend. Thanks to around 50 million regular runners worldwide, the recent boom infiltrates more than just the sports event industry and urban consumers represent the key market for the industries taking advantage of the fitness renaissance. A walk around any of the world’s capital cities will show how fitness and fashion have collided in increasingly penetrative ways as Technicolor specialist running shoes are paraded as the latest must-have in street fashion. Whether those who are donning them are using them for exercise becomes irrelevant when athleisure is the latest in fashion terminology to describe the phenomenon of sportswear as statement-making streetwear. Meanwhile, music stars Rihanna and Kanye West have teamed up with Puma and Adidas respectively to create edgy, eponymous sub-labels of high-performance sportswear, while Beyonce has recently released her own brand, each adding to the urban lifestyle credentials of athletics. 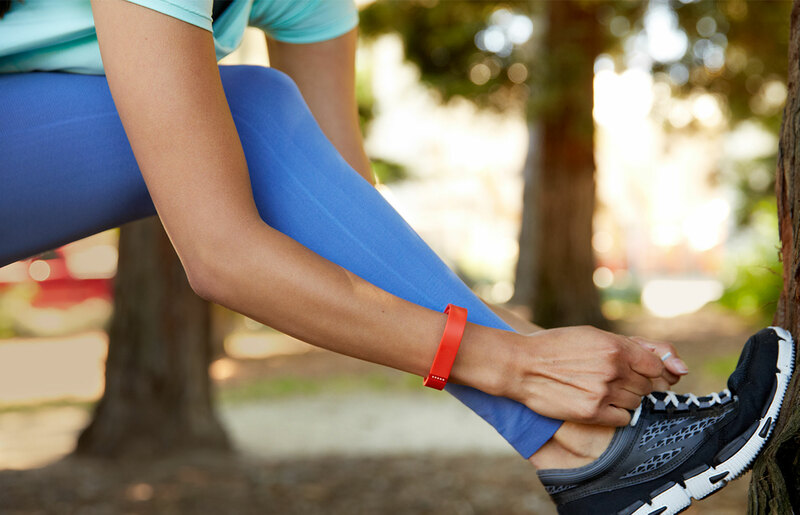 Wearable tracking devices like the popular FitBit represent just the beginning of a sports technology boom. Needless to say, the wearable technology industry has blossomed off the backs of the very same athletes as amateurs and professionals alike buy into the Personal Internet of Things: globally, 85 million devices were purchased for $12.3 billion in 2015 alone – and figures are expected to jump to 560 million devices generating $95.3 billion by 2021. As technology develops at an unprecedented pace, the utility and usefulness of connected, wearable tech continues to become more evident – and this is just the first wave of devices which are mostly used for monitoring. “The latest innovations—from advanced smartwatches to tech-enhanced shoes and apparel to sophisticated gait monitors and running power meters—definitely represent what’s next,” says Competitor.com’s Brian Metzler who goes on to predict that performance-based customization will become the next big thing in the intersection between sports and technology; an intersection that is just beginning to be unearthed. “To be able to make product for an individual based on their stride, their strike, their cadence, their gait and really understanding what their foot does under load and under pressure on a run will ultimately provide the runner with a greater ride and better performance,” confirms New Balance’s executive director. Meanwhile, the sports entertainment industry, as well as city officials are rubbing their hands at the thought of the various experiences, analytics and monetization methods realtime athlete data can provide as interest in running continues across the world’s cities. Next ArticleIs This 80-Story Wooden Skyscraper The Solution To London’s Housing Crisis?